Download Maps for a Self-guided Tour through the Cashton Amish Country! 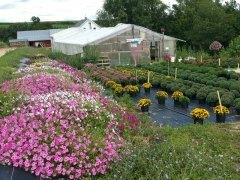 Your visitors and tourism guide for the Amish Farms and Businesses in Cashton, Wisconsin. You've probably heard that the Cashton Amish are one of the largest Amish populations in America, and you'd be correct. 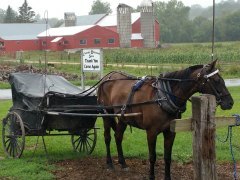 While the Cashton Amish are not represented by a local Chamber of Commerce visitor center similar to the Amish in Ohio, many of the Amish families open their farms to "the English" to visit and purchase their goods. Gone are the days of just oak furniture and quilts--although you can still find these products to purchase if you'd like. Today you will find furniture made of reclaimed barn wood, industrial and contemporary styles, stainless steel counter tops, hardwood flooring, wooden spoons, crafts and goodies to eat. 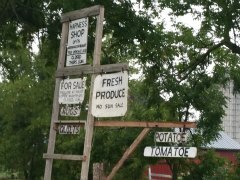 We've not yet found any Amish families opening their homes to invite the public in for a meal, but we did find many enterprising Amish in the Cashton and Westby Wisconsin area selling pickles, beets, jams, jellies, candies, bakery, and craft items. You don't need a tour guide to visit the Amish, regardless of what you may have heard. Just print our map with the accompanying list of farms open for business, and you can take your own self-guided tour of the Cashton and Westby Amish farms. Every single person we met was welcoming and kind.